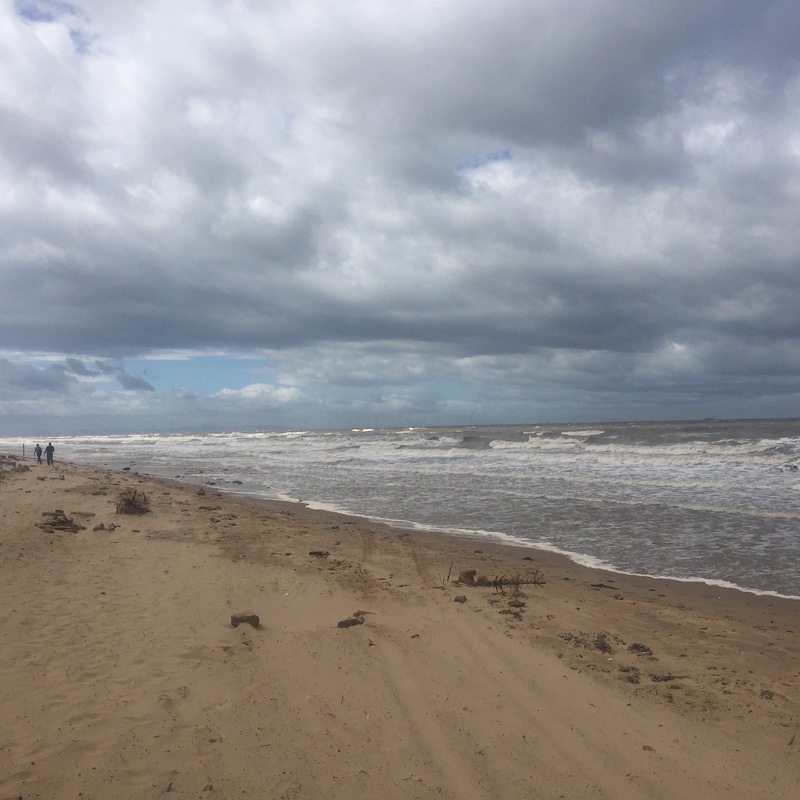 Back in August, when we were in the north of England visiting my family, we took a day trip to the Lancashire coast and visited Formby Point National Trust site. It’s a place I’d visited many years ago as a child, but couldn’t remember very much about. 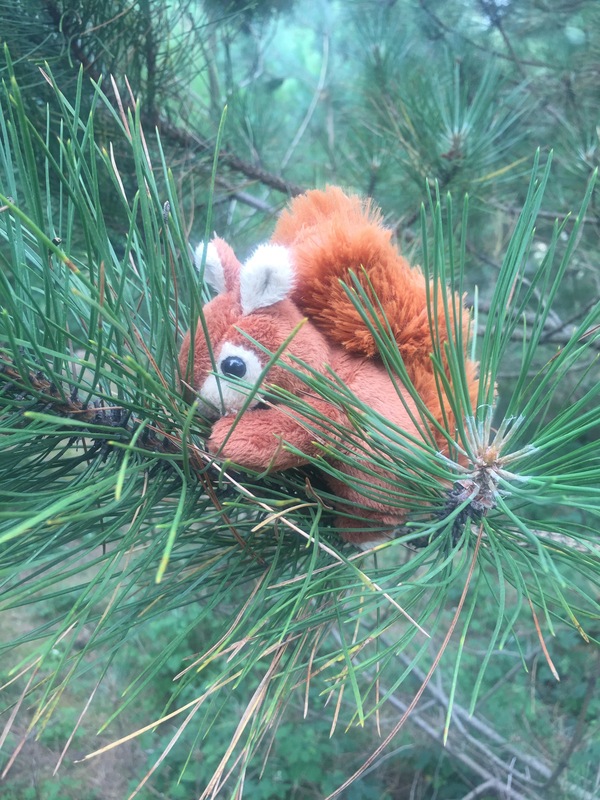 It is also home to on of Middle Postcard’s favourite animals – squirrels!! Formby Point is a really interesting site. 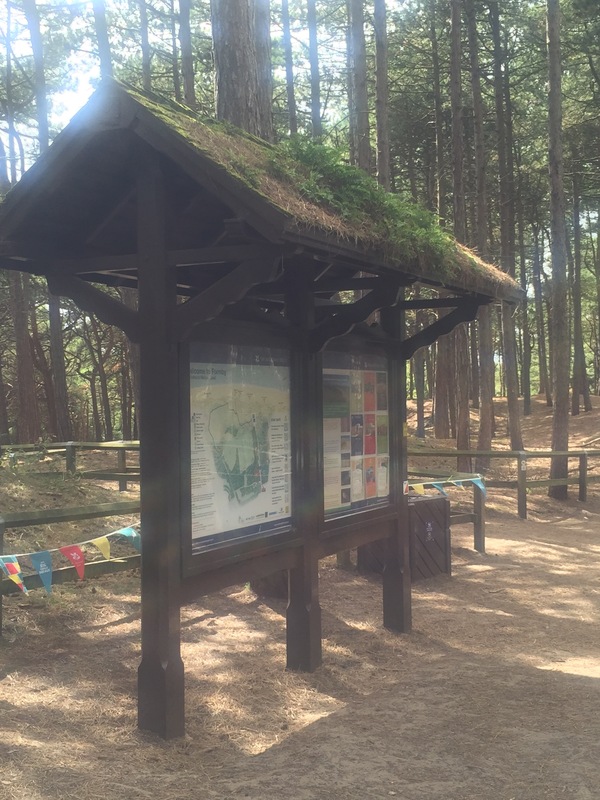 It’s right on the coast and includes beautiful dunes and a long stretch of beach but also encompasses a large pine forest which has winding paths through it and plenty of spots for a quiet picnic and adventures for little people. It’s home to a colony of red squirrels and if you are very lucky, you may be able to see one or two bouncing about on the branches overhead. Our trip began with a rendezvous with my brother and ‘Funcle’ to the Little Postcards. He lives not too far away in Lancashire and was keen to join us on our squirrel hunt. He’s a very keen and talented photographer so relished the opportunity to take some snaps while we were on our walk. We met up with him the carpark just behind the dunes and climbed over them to see the beach. As we reached the summit, the wind hit us. It was so gusty, you could feel the sand stinging the back of your legs through your trousers!!! 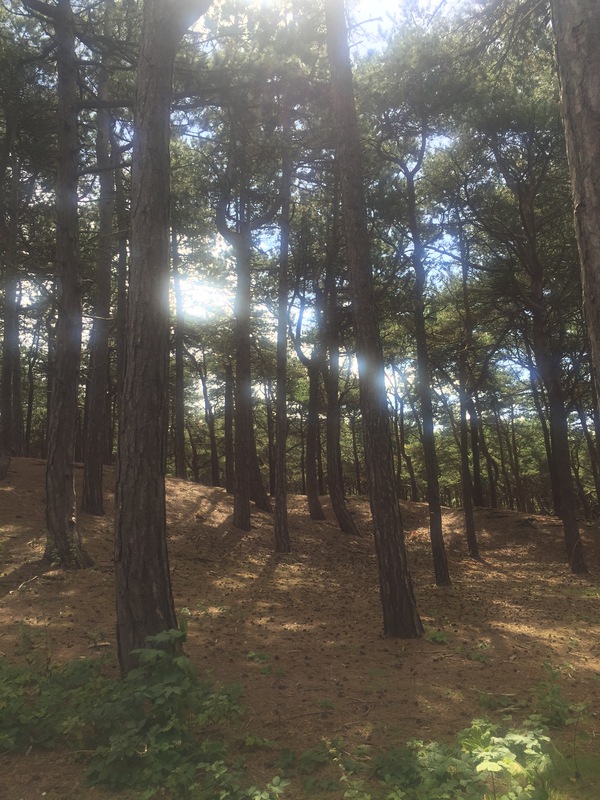 We took a quick look along the beach but I was so scared of getting the flying sand into my camera that I just took a couple of quick snaps on my phone before heading to the shelter of the pine forest. 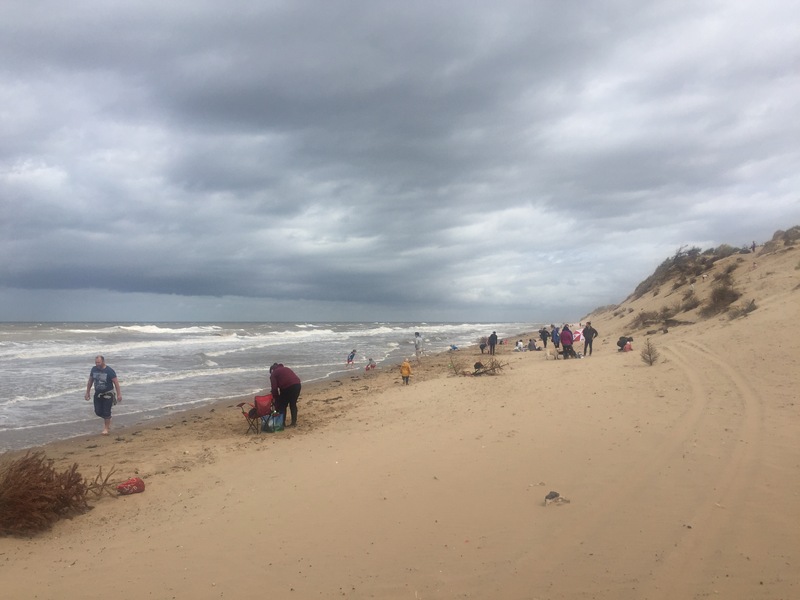 There were a few brave souls out on the beach, some even in short sleeves and shorts (we all had our hoods up and were zipped right up as far as it would go to reduce the pain of the stinging sand!!! We hung about long enough to be able to just make out The BIG One and Blackpool Tower in the distance before running for cover. Being a National Trust venue, there were plenty of volunteer guides on site to help with any questions and dish out maps of the area. 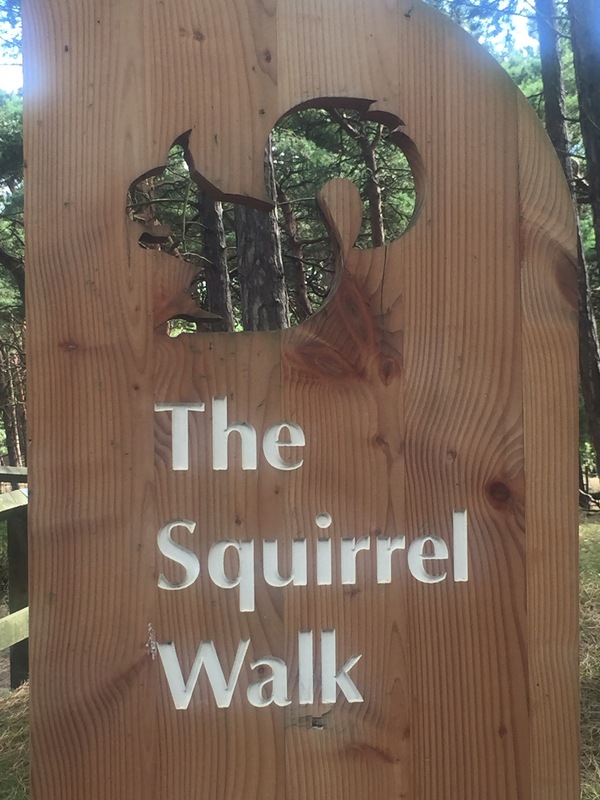 With just one aim in mind for the day (apart from having fun and enjoying a picnic lunch) we set off on our quest to find some red squirrels – it can’t be that hard can it? Formby isn’t just famous for it’s red furry residents, it is also home to the local delicacy of Formby Asparagus. It can be enjoyed during a very short season from early May until the 21st June – sadly we had missed it. 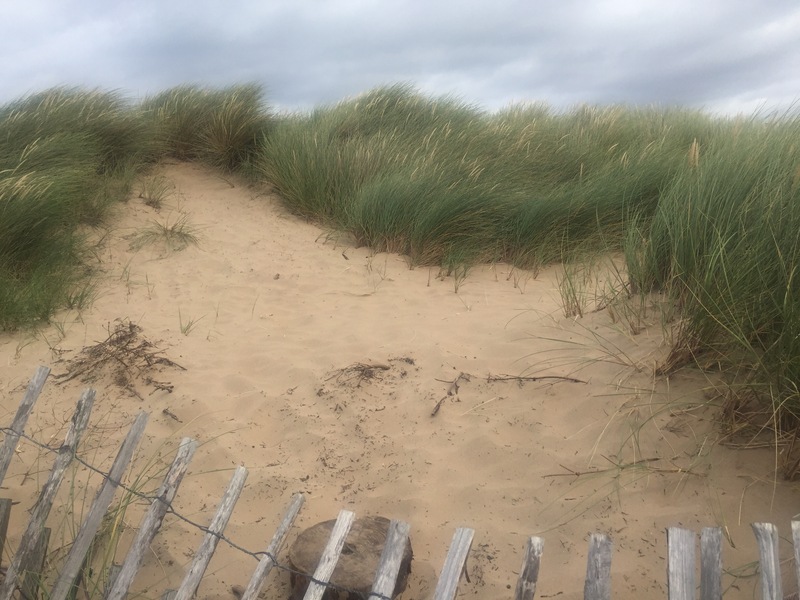 For generations, local farmers levelled the local dunes to create perfect growing conditions for the crop. In it’s heyday more 200 acres were cultivated but these days just 10 acres of Formby Asparagus are grown here. 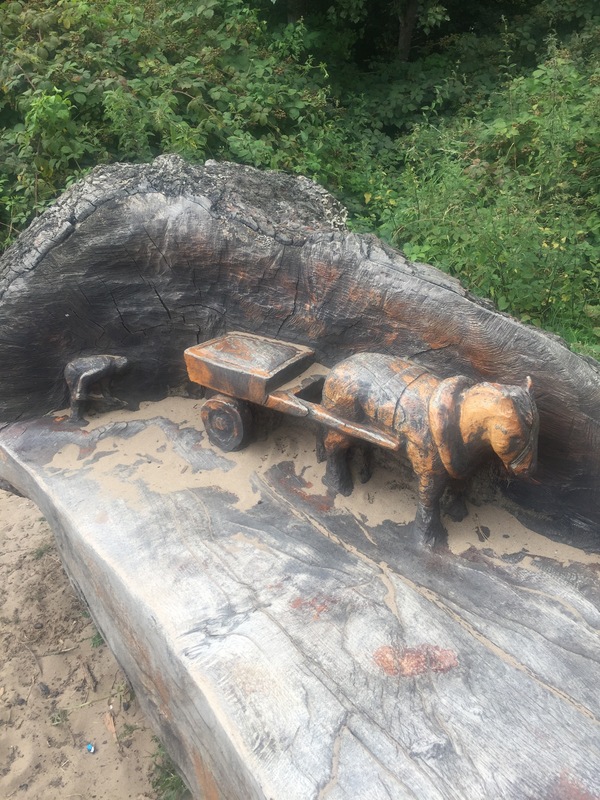 This stunning tree carving was created to celebrate the local speciality. After much wandering through the beautiful pine forest and green fields, our search for red squirels was proving fruitless. Little Postcards and the grown ups were becoming hungry and a picnic spot needed to be found. 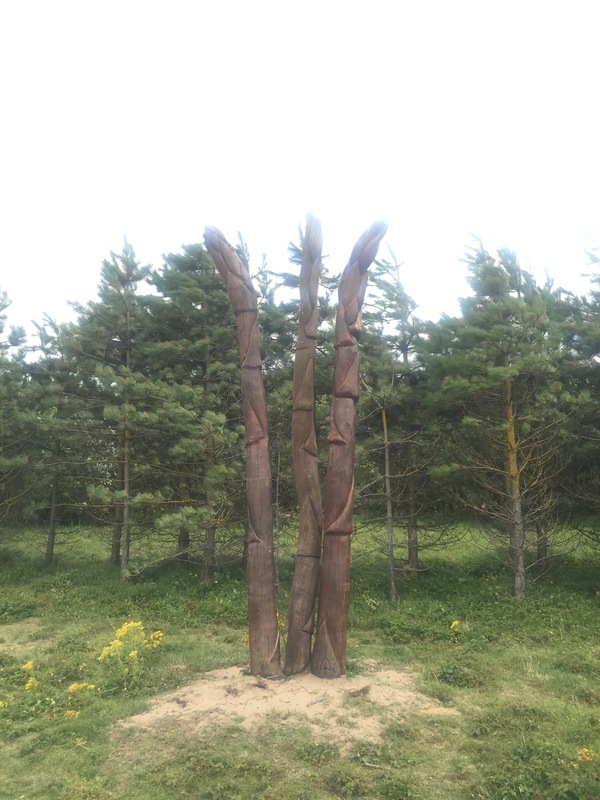 At the entrance to a large grassy area – perfect for a picnic, we found this lovely sculpture carved from a tree trunk. After the sandwiches had been scoffed and the flask of coffee drunk, the grown ups settled down for a doze in the sunshine while the Little Postcards wandered into the woods close by. It was so nice for them to have a bit of freedom to wander knowing that they couldn’t go far. We could hear them – but couldn’t see them. 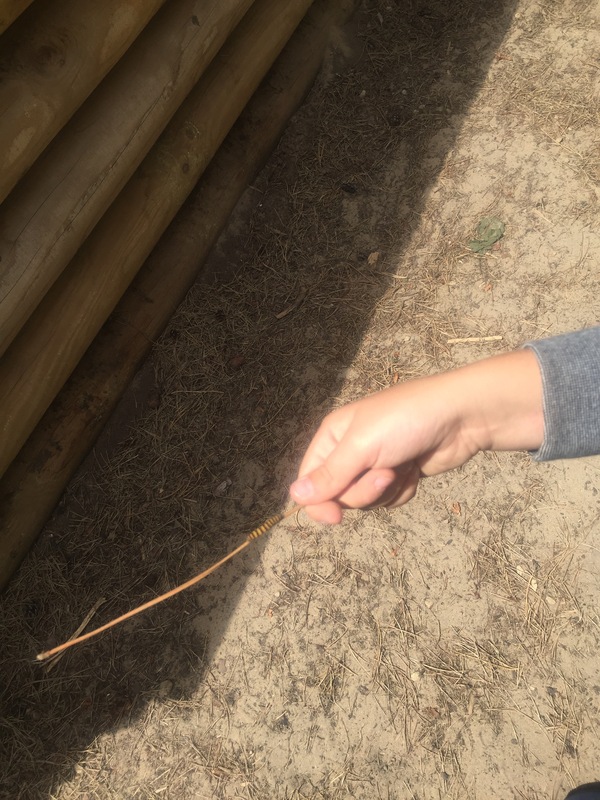 They enjoyed the independence that gave them and for Littlest, it was a great adventure to climb trees and have a woodland adventure with his big brothers. While on their adventure, they were constantly on the look out for the squirrels – although the noise they were making as they wandered the meandering woodland paths probably sent the squirrels scarpering! 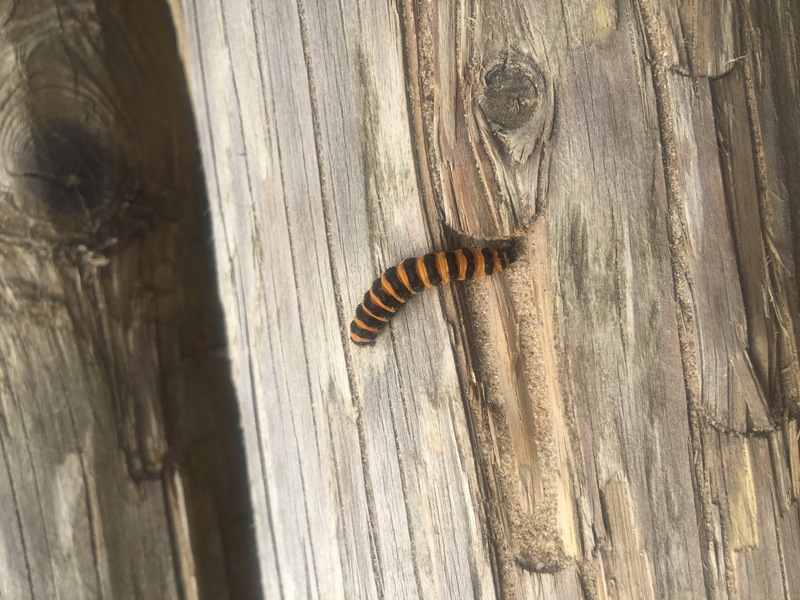 A few very jazzy striped caterpillars were satisfactory discoveries though. After an hour or so at our lovely picnic spot, we decided to head back to the cars so that we could get back home without hitting the rush hour traffic on the motorways back to Manchester. 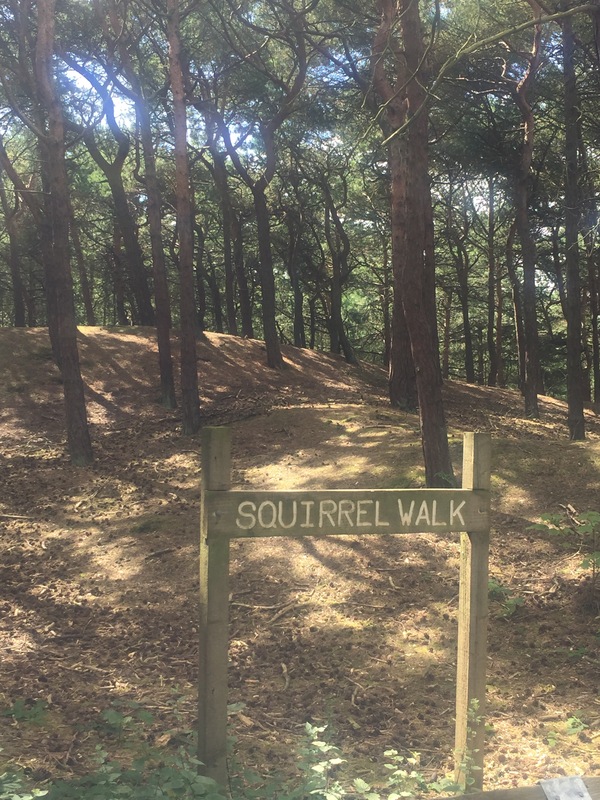 Our walk back through the pine forest was bound to yield a squirrel sighting wasn’t it? As we got deeper into the forest, we spied a group of people eagerly pointing up into the tree canopy and craning to see movement with their binoculars. Squirrels were in the area! Well they were until just before we arrived. An elderly couple had been sitting on a bench patiently waiting to see some squirrels for quite some time. Just as a couple of the illusive residents had put in an appearance, a family with young children had come along at just the right moment to see them too. All this had happened just seconds before we arrived, but sadly by then, Squirrel Nutkin and his mate were nowhere to be seen! …..he came home with us. 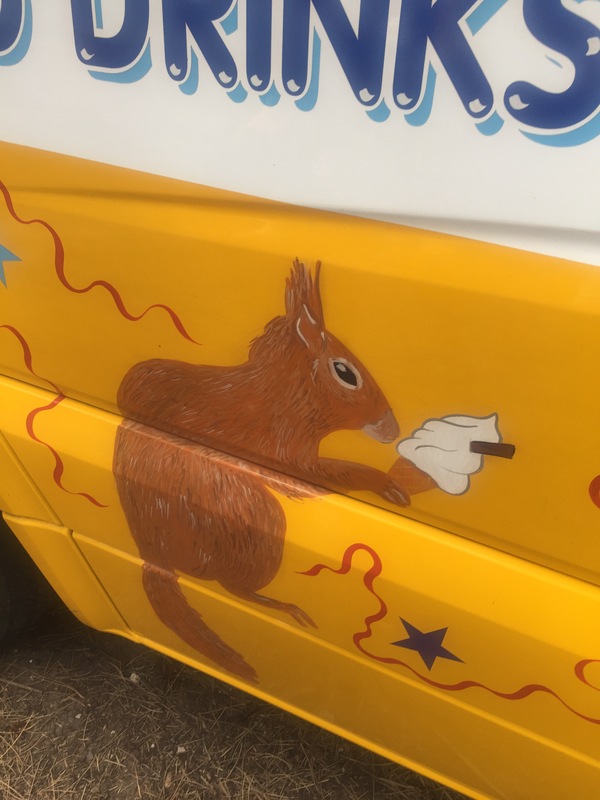 …..Oh and there was this one too on the side of an ice cream van! Never mind – there’s always next time! 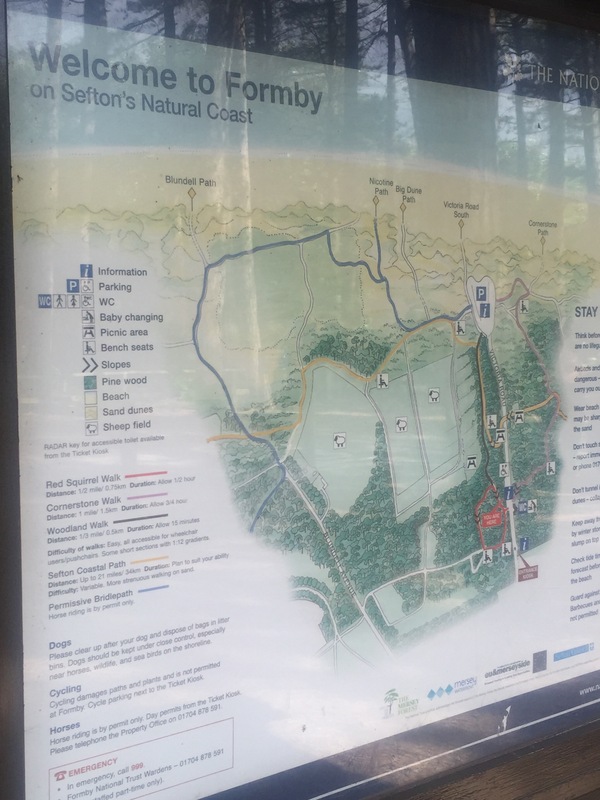 For more information about Formby Point, have a look at the National Trust Formby website. That was wonderful. I had never heard of this. Shame you didn’t see any squirrels. I’m glad to hear I’m not the only one with noisy children!! I think we’ll need to bribe them with ice cream to speak in hushed tones next time! I haven’t seen a red squirrel since I was a child in the Seventies. Shame you had no luck spying any this time. I know- although perhaps my younger noisy companions may have had something to do with the lack of squirrels on this occasion. I vaguely remember seeing them as a child too many moons ago, probably at Formby. Shame about the squirrels, they’re so shy! A really interesting trip all the danger and a great sculpture!